Greetings from Shengyang, Liaoling Province of China! 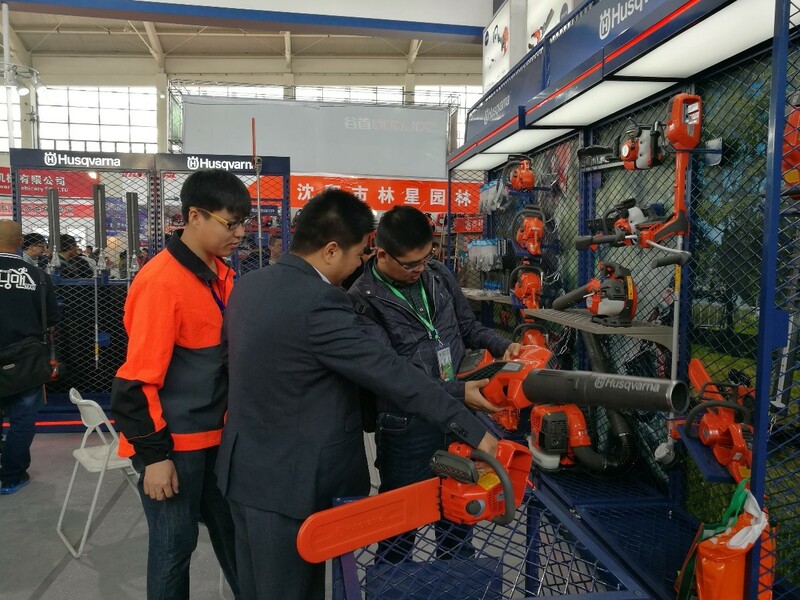 This is the second day of the 19th China (Northeast) International hardware & Tool Exhibition. 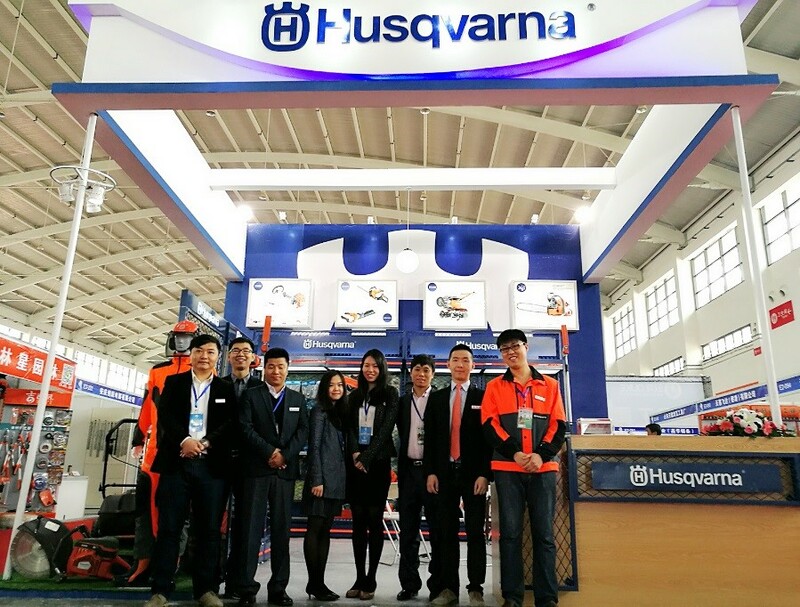 There are more than 1000 exhibitors in the expo and Husqvarna is one of them. I feel so glad to have the chance to work with the Marketing team of China Domestic Sales and learn in the front line – a sales exhibition to directly interact with different type of visitor and create the right brand image. The interior of our booth is designed just like our dealer shop profile. This is to give a consistent brand image of Husqvarna to our customers and potential customers. We have showcased our petrol and battery handheld products, backpack-blower, pole saws, tiller, walk-behind lawnmower, protective gear, spare-parts and accessories. Some of the products we have chosen are new to the Chinese market, guests show a lot of interested in these with our product demonstration. And never forget our competitors – there are more than 5 local/international competitors participating in this expo. It is not only a chance for representatives in the industry to interact, but also a great opportunity to learn about the future trend of the industry. From my observation, battery products will be a focus in the coming years: all key competitors have specifically emphasized their battery line in the product display. There are many visitors asking for information about our 36v line. Exhibitions like this is a great platform to introduce new products and educate our market to create new demands. Visitors showed a lot of interest in our battery handheld blower. I have the chance to interact with some of our dealers and potential dealers. Most of them are located in the Northern part of China, where logging industry is huge and still growing. We also try to create more long-lasting relationships to guests visiting our booth. We have asked guests to scan the QR code for subscribing our WeChat public account. WeChat is an instant messaging app equipped with social media functions. 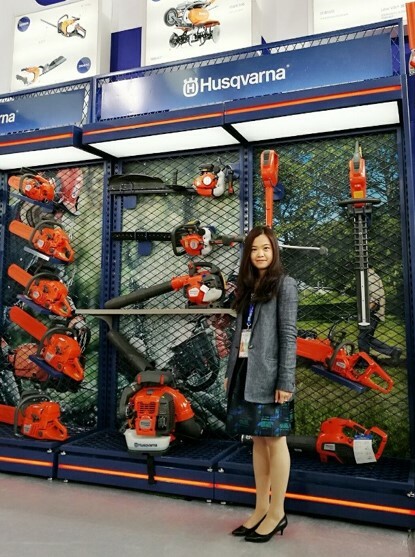 This is one of the most used apps in China and Husqvarna China domestic sales has set up an account there, to connect with our market in a more interactive way. I was working with representatives from Sales, Marketing and after-sales. The expo will end tomorrow, but we are already preparing for a bigger scale expo in Beijing in May. There are so many learning opportunities in the Global Trainee Program, I just wish I had more time to capture all of them!